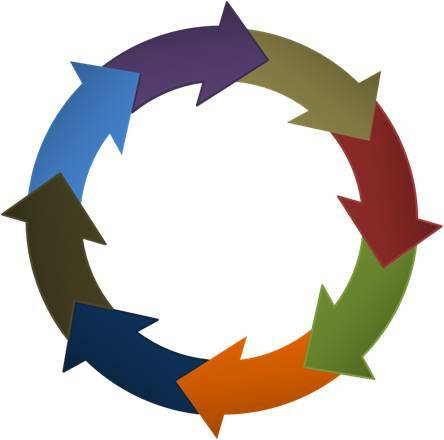 Create branched arrow within 60 seconds. 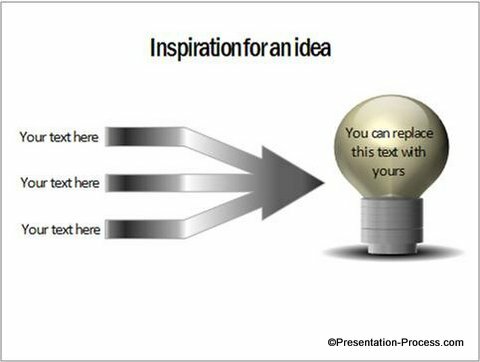 Follow our simple step by step instruction to create this useful shape in PowerPoint 2010. 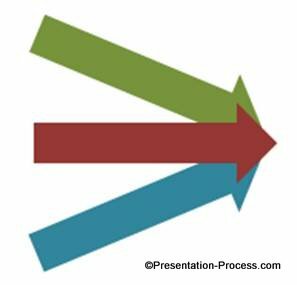 Where to use branched arrows in your presentations? 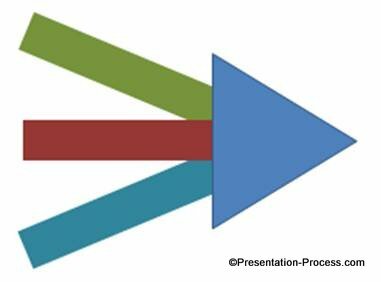 The two arrow shapes can help you in a whole range of situations in your strategic and consulting presentations. 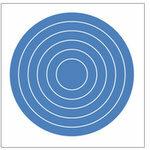 Let us learn to create the shapes in a step by step manner. 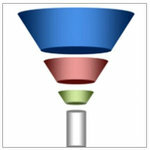 Add a large triangle to represent the head of the arrow. 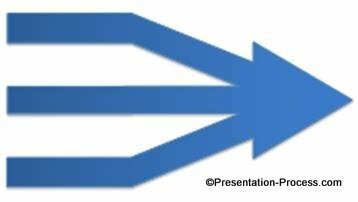 Note About Using ‘Shape Union’:To use the Shape Union command in PowerPoint 2010, you need to have the Quick Access toolbar set up. In the Windows menu right at the top, find the Customize Quick Access Toolbar option > More Commands > and then in theCommands NOT in the menu list, add the Shape Subtract and Shape Union commands. 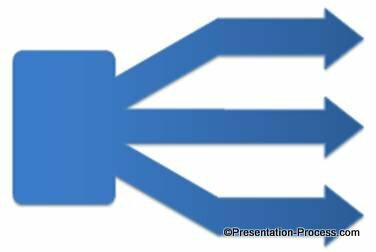 As you can see, it is extremely easy to create the branched arrow shapes in PowerPoint 2010. You can fill the shapes with a variety of preset gradients to suit your specific requirement. All the 750 diagrams in the pack are fully editable. 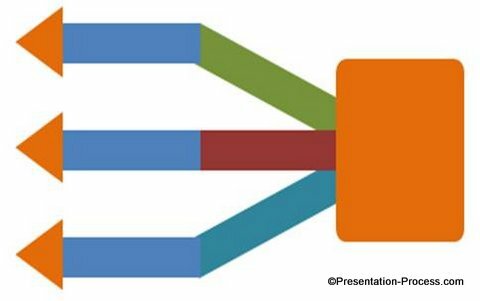 You can copy and paste the diagrams from our templates into your presentations and create professional slide deck in minutes. 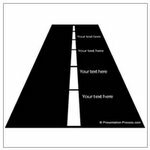 No other site on the net offers you such a comprehensive range of diagrams in one pack. If you are a business presenter responsible for making mission critical presentations, or a trainer responsible for creating learning modules, the pack is an indispensable tool for your library. 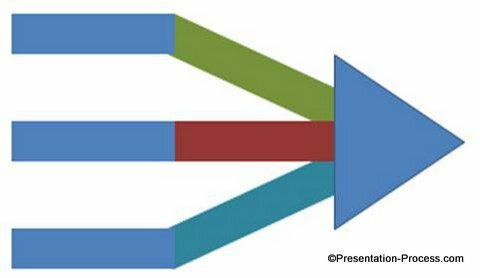 Please browse through our collection and see how the diagrams fit your specific presentation needs. 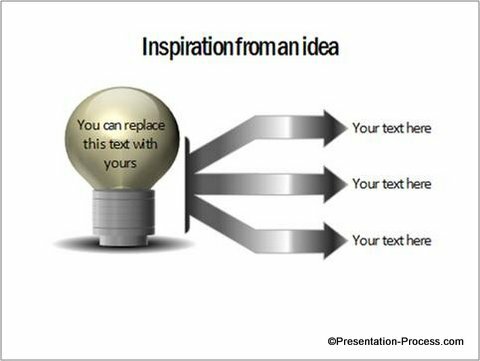 There are tons of simple and creative PowerPoint tutorials available for free on this site to take your PowerPoint skills to the next level. You can go through them and share them with your friends. Please leave a positive comment to encourage us to create more of these tutorials. Your appreciation means a lot to us!